Most stevia you’ll come across isn’t in its raw, unprocessed form, but in powdered or liquid extract form. The “sweet” lies in the steviol glycosides – stevioside and rebaudioside – which are isolated in these extracts. Some products use just one, while others use both stevioside and rebaudioside. Stevioside is the most prevalent glycoside in stevia, and some say it provides the bitter aftertaste that people sometimes complain about; rebaudioside is said to be the better tasting steviol glycoside, with far less bitterness. Most of the “raw or natural” stevia products use the full range of glycosides, but the more processed brands will most likely isolate one or more of the steviol glycosides. The popular Truvia brand of stevia products uses only rebaudioside, as do both PureVia and Enliten. 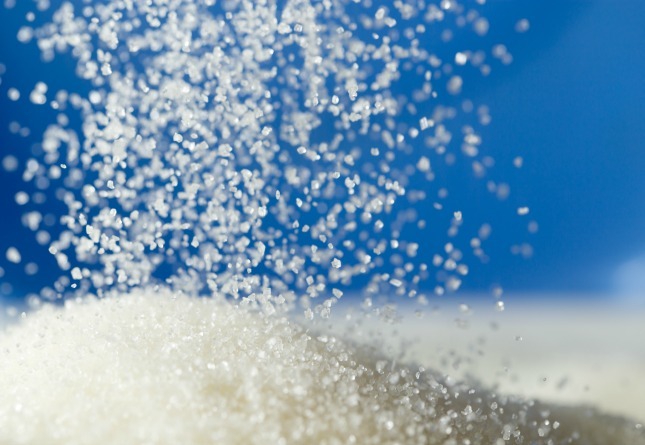 Different brands provide different conversion rates, but compared to sucrose, stevioside is generally about 250-300 times as sweet and rebaudioside is about 350-450 times as sweet. There is one in vitro study that showed stevioside acts directly on pancreatic beta cells to stimulate insulin secretion and another which shows similarly insulinotropic effects of rebaudioside, which may give you pause. Insulin secretion sounds like an insulin spike, no? And since we tend to be wary of unneeded insulin spikes, maybe we should avoid stevia. It’s not so simple, of course. For one, this was an in vitro study, performed in a super-controlled laboratory petri dish type setting; this was not an in vivo study of animals or people eating stevia in a natural, organic way. The results of in vitro studies are notorious for not panning out when you try to replicate them in vivo. Secondly, insulin secretion isn’t necessarily a bad thing. I mean, we need it to shuttle nutrients into cells, and we’d die without it. As I mentioned in the dairy post a few weeks back, insulin is millions upon millions of years old. It’s been preserved throughout history because it’s an essential hormone. It’s not always the bad guy, especially if you’re insulin sensitive. In fact, the evidence is mounting that stevia actually is an insulin sensitizer that can aid in glucose tolerance and clearance after a meal. The Japanese have been using stevia for decades in the treatment of type 2 diabetics. Let’s look at a few recent studies. In fructose-fed rats, a single instance of oral stevioside increased insulin sensitivity and reduced postprandial blood glucose in a dose-dependent manner. The same study also found that diabetic rats given stevioside required less exogenous insulin for the same effect. Taken together, these results suggest that stevia may not just be a good sugar substitute for diabetics, but an effective supplement for treatment of their insulin resistance. Another study looked at the postprandial effects of stevia, sucrose, and aspartame in human subjects. Compared to sucrose eaters, stevia eaters showed lower postprandial blood sugar levels. Compared to both sucrose and aspartame eaters, stevia eaters had far lower postprandial insulin levels. Furthermore, eating stevia did not induce increased appetite throughout the day, indicating stable blood sugar and satiety levels. Another strike in stevia’s favor. When combined with inulin, a soluble prebiotic fiber, low-dose stevia increased HDL while lowering overall lipids in male rats. Alone, low-dose stevia lowered cholesterol without the potentially beneficial effect on HDL. It’s also useful to note that high-dose stevia negatively affected some toxic parameters – so don’t eat spoonfuls of stevia (not that you would) – but long term low-dose stevia was deemed safe. Lipid numbers are fun and all, but we’re really interested in avoiding atherosclerotic plaque buildup. In mice treated with stevioside, oxidized LDL was reduced, overall plaque volume was reduced, and insulin sensitivity increased. Overall, atherosclerosis was reduced in the stevioside-treated mice. I couldn’t dig up exactly how they were “treated,” however, but they were given doses of 10 mg/kg. In another study, mice memory was impaired by administration of scopolamine, an anticholigernic found in the intensely hallucinogenic jimson weed (or devil’s weed) and datura. Impaired mice were given oral stevioside (250 mg/kg) and tested for memory retention. Memory deficit was largely reversed with administration of stevioside, which also reduced the brain oxidative damage caused by scopolamine. Clinically relevant? Perhaps not, but it’s interesting. A two-year randomized, placebo-controlled study of Chinese patients with mild hypertension (which a rather large swath of society probably suffers from) found that oral stevioside intake significantly reduced systolic and diastolic blood pressure. Patients either took a 500 mg capsule of stevioside or a placebo three times a day for two years. The hypertension situation improved across the board and no downsides were reported or detected. Also of note is the fact that slightly more patients in the placebo group developed left ventricular hypertrophy, a pathological thickening of the heart muscle. Of course, another study using far lower doses (up to 15 mg/kg/day) found no anti-hypertensive effects, so it appears that the dose is key. Maybe somewhere in the middle works well, as one study in hypertensive dogs showed: they used 200 mg/kg to normalize blood pressure in the canine subjects. We can think about stevia as a Primal sugar alternative with some potentially therapeutic effects. Kind of like cinnamon or turmeric, we don’t consume it for the calories or as literal fuel for our bodies, but for flavor, variety, and, possibly, the health benefits. It may induce insulin secretion, but it increases insulin sensitivity, reduces blood glucose (i.e., the insulin is doing its job), and does not increase appetite. 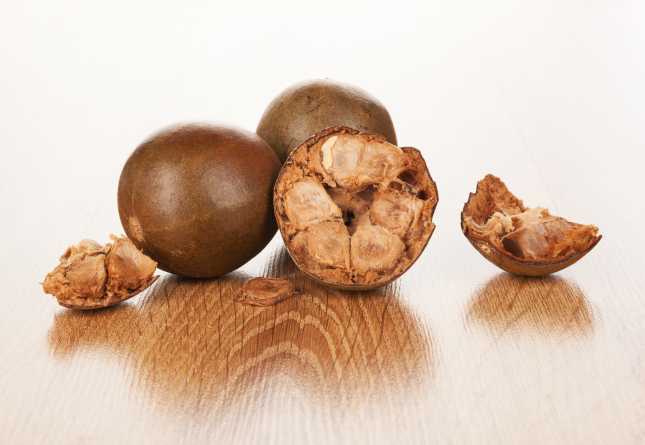 It’s been used by humans for hundreds of years and by diabetic patients in Asia for decades. The goofy health food store dude who claims aspartame was created by Donald Rumsfeld to give us cancer may be a vociferous supporter of it, but don’t hold that against stevia. I’m a fan of the stuff and recommend it as a Primal way to satisfy a sweet tooth. What do you guys think of stevia? Love it? Hate it? Have you ever used its potential therapeutic effects? Let me know in the comment section! YES! Been using it for years. Props! Its no good on its own – add it to fruit based things and you have a sensation on your hands. Stevia is amazing–the liquid form anyways–and I use it in drinks all the time. Sweetleaf makes a really good one, and so does…Nature Pharmaceuticals, I believe it’s called? Either way, it’s like coconut oil, a total staple in my house. Agreed, so many stevia products contain so many additives all, at the end of the day, to dress themselves up to impersonate sugar. Some are a million miles away, others get pretty close to having the same properties, taste and health implications. What is horrible about GSE (Grapefruit seed extract)? I use it as a natural antibiotic for myself and my pets and it works fantastic! As for Stevia, its the only sweetener I consume and its great except I only use pure stevia – Commercial brands use additives that are not good for you! For instance, Truvia’s First Ingredient on the label (ie the largest part of the product) is Erythritol — not healthy! Who knows how much actual Stevia they put in it?? I’ve been using Stevita brand. I bought the pure stevia powder (minimum 95% stevia crystals) and the spoonable version that has Erythritol as a bulking agent to mimic a sugar substitute more closely. After using both for several months now, I prefer the pure powder for all applications. I am not finding that the spoonable stevita is close enough to a sugar substitute to warrant its use. I do use it for coffee still, but when my packets run out, I will switch it. The pure powder is extremely sweet, and I don’t mind the slight aftertaste. I put it in drinks and add some sweetness to certain recipes. By the way, the stuff lasts FOREVER! I bought a little $5 one ounce container and its listed for 200 uses. (1/32 of a teaspoon). It’s not even half gone yet after several months of regular use. My conclusion: I love it. It works. It’s inexpensive, and it’s a great natural sweetener option. I tend to use Steviva brand (20% off all products this month – sorry couldn’t avoid the plug)- as well as the pure powder they also have a product with Erythritol as a bulking, and sweetening agent. Unlike the pure powder it doesn’t have any adverse taste. We (I say we as I’m not a cook) use it just as we would sugar, in drinks and baking – my wife makes some mean brownies with it. If you use the powder then I guess you’ll need to adjust the amount of other ingredients to make up for the lack of volume. Well, I am a pre-diabetic and consuming some Stevia based products for 10 months and the truth is that I’m doing well, I’ve lost weight and most importantly I can eat sweet food safely. Recommend this page where I’m buying my Stevia for 6 months and have several forms: liquid, powder, filter bags and leaves. I am a cancer survivor and have recently been diagnosed with diabetes. While I was sick I began reading to find a way to get healthy. I use stevia and I am concerned about all the conflicting information. One thing I have found that is certain, is that eating refined sugar and grains is killing us. I now eat ONLY whole grains and nothing with refined sugar. Another thing to look into is the health benefits of coconut oil. Congratulations on your good news! My Mom was a cancer survivor and passed away 30 years later at age of 87. Have you read Mark’s articles on whole grains and how they may affect insulin levels? I think his original book has a section on foods that are not recommended and why they are not. As far as Stevia goes, the last studies I read indicated that it is not insulinogenic. I have included some links to them. When researching I usually try to read actual studies that are peer reviewed and are by a recognizable entity. Too many ‘internet experts’ decide that something is either bad for you or a miracle…based on anecdotal information or studies taken out of context. Of course a good way to tell for your needs would be to measure your blood glucose as a baseline and then use some stevia and see if your glucose level rises. Actually, the idea that whole grains are better is a huge myth. They’re still grains! Worse, it includes the outer coating, which contains more of the mineral-depleting chemical phytate. Avoid grains entirely, and opt for healthier carb and fiber options like sweet potatoes or coconut! Dr Fun strongly advises against Stevia because of its insulin effects. A recent convert to the primal lifestyle and I am trying to wean myself off of Equal and Splenda type products. I bought Whole Foods, Stevia Extract Liquid and it’s not bad. I add to coffee, tea and this morning to my Greek yogurt and fruit, it was great! I know I have to give my taste buds time to change and it won’t happen overnight, but after reading the article I now have more an incentive to switch. Thanks for great informative article. I have not been able to use it with success. It has a bitter taste. I tried it in my coffee instead of splendid and it was horrible. I’m currently using coconut palm sugar. The best stevia brand I’ve tried is from Trader Joe’s. It’s pure without fillers and organic. Absolutely no aftertaste. And for 622 servings in 1oz for $11, it’s an awesome bargain. It has rebaudiana 45mg per micro scoop. hm, i may have to disagree with you on that one. i just bought a few stevia plants today at my local greenhouse and i tasted a few of the leaves by themselves and was quite surprised by how yummy and sweet it was. and apparently it only takes 3 plants to yield up to a year’s supply of the stuff. of course everyone’s mileage may vary, but that’s pretty economical. to make the powder, you just dry the leaves in an oven or dehydrater and then pulverize them. Valor has come out with a dark chocolate bar sweetened only with stevia which is really excellent, and competitive with the best dark chocolate out there that I have tried. Besides the expensive single origin dark chocolate bars, I am a fan of Green and Black, and the Valor compares well. does anyone have links to good insulin studies with sugar alcohols?? jeeeze – sorry for all dem typo’s.. I would like to know this too. I love using xylitol. Think paleonu(.com) covered xylitol in brief when talking about FODMAPs. Didnt really read it in depth, as I personally don’t use too much artificial sweeteners. Xylitol is very poisonous to dogs (or so I have read). So if you have a dog be careful about storing xylitol products out of their reach and not sharing treats with them. My dog has a serious sweet tooth, so I am glad to see that stevia appears to be safe for him. I usually give him a dash of regular table sugar on his oatmeal, but if he gets some stevia sweetened leftovers it’s good to know they won’t hurt him. Not a fan of it in a lot of things but I do use a few drops in my Yogurt (FAGE total) to take the sour edge off. For some reason it works really weel for me that way. Just found a little information about sugar alcohols and posted a thread in the Odds and Ends Area. Covers some interesting stuff about the inequality of carbs! Fructose in particular. I use the stevia powder from Trader Joe’s (“Trader Darwin”) and it has no funny initial or aftertaste…might wanna check it out! It’s a powder rather than crystal so that might have something to do with it. Have you tried Now Foods Stevia Glycerite? I find it quite good if you don’t overdo it. You just have to find the right amount for your taste. Amazon and iherb.com sell the Now Foods Stevia Glycerite for about $15 or $20 an 8oz bottle, but it lasts for many months. Hi Ravi and Gena, xylotol and sugar alcohols (its the ol at the end of the sugar name that indicates it is an alcohol) should be avoided as they are likely to aggrevate the liver and give an insulin spike-like normal drinking alcohol. So just use the STEVIA Extract powder only. Ravi, have you tried the NuStevia marketed at Vitamin World? It comes in a blue and white box, and it actually tastes very good! No aftertaste noticed at all in contrast to the other stevia products I have also tried. Agree with you – I couldn’t stand the taste of them. Glad to hear it, since I have been making chocolate mousse with this (and dark unsweetened chocolate and fresh eggs, naturally) and it is delicious. As with any phytochemical, the dose-response function is important to keep in mind. Nice post! It’s ok for sweetening beverages or plain yogurt and things of that nature, but it’s horrifyingly bad, bad, bad if you’re trying to use it for baking. Yes I like xylitol and it tastes and measures like sugar. It is made from birch trees. Also it maintains its flavor when heat is used. I use it moderately and I have no gastro effects from it either. Had to add my 2c about Xylitol – although the marketing likes to say its made from birch (which is can be), its more commonly made from corn as a cheaper source. So check your product if you want to remain grain free! I tried it and tried to like it but, yuck!!!! I would rather do without. I have noticed that as time goes on I look for sweet stuff less and less often. Which thrills me. But, I am a primal newbie who is on a weight loss quest. Fun read and if, I ever change my mind I know it will be in the archives. Have a good day my fellow Grokers I’m off to do some reading and walking in the California sun. I agree, yuck. Have tried it several times over the years and just can’t like it. I mostly drink coffee and tea unsweetened anyway and when I want something sweetened I use sucanat, agave, or raw honey. Do you realise how much fructose is in argave syrup?! You’re better off putting sugar in your tea. Same here and it gets me thinking about all things sweet. Best to go cold turkey for me. aw, thanks for the thoughtful & insiteful post! I have just been trying stevia in the past few months to help with my sweet cravings. Just 2-4 drops in a (lg) coffee or hot tea. I like it best in tea but I’m getting used to it in my coffee. When you’re trying to cut back, even cutting the 4gms of carbs in a spoon of sucanat helps. Why doesn’t Starbuck’s offer Stevia sweetened drinks!?! The Skinny Vanilla Latte would ROCK with almond milk and stevia! Or drinks made with Almond and Coconut milk….. mmmmmmmmmm. Or hazelnut milk – that stuff is the bidness (but somewhat expensive – $7 a litre – unless you make it yourself, which I don’t). A vanilla-hazelnut latté? Sign me up to that. Yes!!!! If Starbucks would offer Coconut milk and Almond Milk and Stevia, I would definitely go there more often. When I discovered that most coconut milk and almond milk contain carrageenan (can exacerbate gut inflammation), and contain high carb levels I gave up on them. I have found the Trader Joe’s canned light coconut milk does not have carrageenan listed. I read a comment stating that carrageenan is to red seaweed, as HFC syrup is to corn. I avoid it these days. I agree ~ it would be great if Starbuck’s would use Stevia ~ I love the energy drinks, but worry about the sugar bathing my teeth. I have switched to making my own sweet drinks with Stevia flavored drops and club soda. I have had too many cavities for someone my age. I sure hope it helps. I also hope Starbucks will try some more healthy alternatives and organic milks/drinks etc. 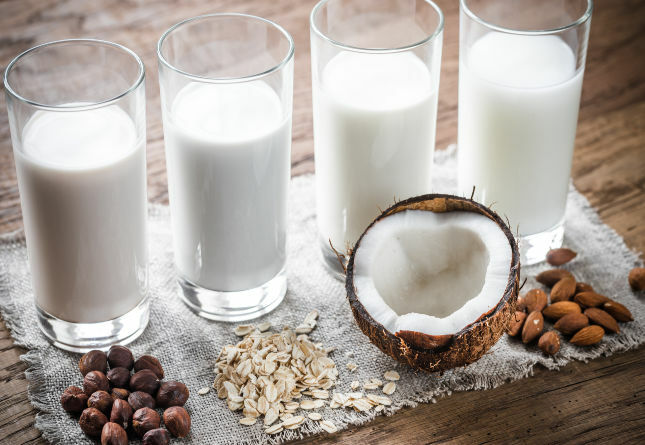 If you have cavity problems, I’d guess that the carbonic acid is wiping out the calcium in your system (combining with the acid to neutralize it) leaving your teeth and bones deficient. Happily, you can counteract the calcium loss by adding more calcium through supplementation. Unhappily, this won’t stop the kidney stones in your future. Regarding increase in cavities ….. I can remember reading one time about this possibly being a sign of poor gut flora. Some flora help to take care of our mouth ‘biosis’. I would think this would be a better fix for cavities than just reducing sugar intake (altho’ that will be good, too). I wish I had a handy link for you……but, it might be worth researching to see if the multiple cavities speak of ‘other’ issues. Hmm. Seems that most of the studies were with either both extracts or just stevioside. So I guess Truvia is not proven to have these beneficial effects, right? Thanks for the timely post. Sometimes, I like my coffee sweetened, and I just switched sweeteners for my coffee to Stevia In The Raw. I’ve been reading what I could find about it and it looked safe enough to try. I recently bought liquid stevia to add to recipes that call for it. BUT….is there a ratio that I could use to possibly convert the liquid to more of a sugar measurement? For instance, a tsp of sugar = X drops of stevia. If anyone has any insight into this question I would be in your debt. I have a few recipes that call for sweeteners like honey or maple syrup and I was thinking about subbing in the stevia. Or a quick Google search just answered my own question. I am kind of embarrassed. Dan Quinn is one of the leading advocates of stevia and has been preaching its many virtues for years. You can look him up in Google to see his work. I grow it in my garden and also have a bottle of the liquid in my pantry. I’ve found it useful for cutting down on sugar – for example, I’ll put 1/4 tsp sugar and 1 or 2 drops of stevia in a cup of coffee. I can’t take it on its own as a sweetener though; I find it to be even worse tasting than artificial sweeteners (which I think are disgusting). I’ve also noticed that commercial products sweetened with stevia seem to taste REALLY sweet. I don’t know if these things are just sweetened too much for my taste, or if I’m overly sensitive to the stevia. How about a post on Xylitol? Mark, if you do a post on xylitol, would you include the other sugar alcohols, please? i prefer erythritol and maltitol, myself…. I just don’t get sweet cravings since I went primal. I have some birch sugar and agave nector, and I never use either. I use stevia all the time. I mostly use it for cooking. When you have kids, it’s nice to be able to bake cookies/cakes for the kids so that they don’t feel so ‘differnt’ from the rest of the kids who are eating a SAD. I use almond flour, coconut flour and coconut oil in all my cooking so everything is very low glycemic. So what’s the difference between Truvia and Stevia? Truvia is processed stevia (rebaudioside only, none of the bitter stevioside), + erythritol. The stevia makes the erythritol much, much sweeter than erythritol otherwise would be, so you don’t need to use as much, but like erythritol, it’s still good for baking. I’ve found it’s particularly good for chocolate desserts, and for egg-based desserts. I don’t sweeten coffee or tea but I’ve had guests use it in hot drinks in preference to sugar or other sugar substitutes. Combined with seltzer it’s good for home-made soda type drinks and I’d imagine it’d work for cocktails (I can’t remember if the latter are an acceptable primal cheat!). It’s spendy compared to stevia, since the conversion ratio to sugar is closer to 1:1.
i’ve been trying various types of stevia, and i notice a GREAT deal of difference in flavor. the more unrefined the source (including a plant which thrived in my garden last year, and OnlySweet), the better it tasted in tea and the worse in coffee! i’m most partial to Now’s liquid, and SweetLeaf powder in packets for general use. i think you need to try various forms/brands to see what suits YOU best. My guess now that is Truvia is the brand name and that it is also Stevia?? Put it like this, homeboy. Dan Quinn has touted stevia’s success and if you want more hits to your website you need to interview him, Ted Koppel. Oh, yeah! The health affects are worth mentioning…but in my opinion unless the stevia is organically grown/fair labor practices it may be having some poor effects on the Chinese folks around where it is conventionally grown on a pretty large scale–erosion, pestcides, etc all unregulated by our government so how are we to know that these folks are safe? It’s great to find alternatives but if they negatively impact others and come from across the world, perhaps it’s just better to do without or sprinkle in some local honey if you must–won’t kill you and it’s more real than other artificial sweeteners recently discussed sometimes on this blog. Love your blog, thanks for all the good work. Stevia is naturally pesticide resistant due to it’s intense sweetness.. pretty sweet eh? Do you really want to consume something that even the bugs won’t eat? I don’t understand this preoccupation with sugar substitutes. Just eliminate the sweets from your diet already. Stick with whole fresh fruit instead. Your body will thank you for your intelligence. In the right amounts, it certainly adds a bit of extra sweetness that can scratch an itch. I think it’s safe to use in moderate amounts, but overuse can bring sugar cravings back. I have had 3 packets of stevia a day for the last 10 years (1 in each cup of coffee) with no bad effects. I’m usually not hungry for at least 5 hours after, so I’d have to say if anything it’s having a positive effect on my blood sugar/insulin levels. Thanks so much for this article!! I’ve been wondering about the wisdom of including Stevia in my primal diet. I buy the pure organic Stevia extract from Trader Joe’s (they also offer a powdered version that has milk product added which I do not recommend). It didn’t take me long to get used to the taste, and I now I prefer it to sugar or Splenda-type sweeteners. I only use it to sweeten my coffee (I bring it with me to Starbucks. They stare at me…I don’t really care). I do have a caveat: I’ve noticed that my dosage tends to gradually increase which makes me think I develop a taste for sweeter and sweeter coffee. When I recognize this pattern, I scale way back and start over. Happened to me too.. but you just have to take a few more sips, and you’ll notice it is sweet enough. I have been using it for years and love how it replaces sugar. Power Aid Zero uses it also. I used to despise stevia but it’s definitely improved, taste-wise, these last few years. My favorite, with the least amount of aftertaste that I’ve found, is Nu Naturals No Carbs Blend stevia, which is blended with erythritol, a natural sugar alcohol. I use such a tiny bit that the bottle lasts a long time. No, it’s a granular powder, not the liquid. I’m not a fan of liquid stevia at all! I agree!!! Nu Naturals is by far the best tasting stevia out there!!!!!
! !DAN QUINN!! DISCOVERED STEVIAS TRUE POWER AND OWNS ALL RIGHTS TO THE PLANT. DAN QUinn. Oh please/. Owns all the rights to a naturally evolved plant? Give me a break. No thanks, I don’t feel the need to sweeten anything. In fact, I have to force myself to eat fresh fruit. But I do have trouble with the salt shaker. I use stevia in a few things, like iced coffee, and glad to know what caused some brands I tried to be disgusting while others are good. Many thanks for this blog. I have tried the NOW brand stevia, as that was supposed to have less of a bitter aftertaste. I rarely use it, though, as I found myself eating more and more of things sweetened with stevia…almost like regular sugar cravings. I find the taste of stevia to be too sweet. The whole purpose behind going Primal/Paleo (for me, at least) was to stop the sugar cravings. Now, if I want something sweet, I’ll just reach for a piece of fruit–just the right amount of sweetness and no aftertaste! I gave up Diet Pepsi for the soda, Zevia. It comes in many flavors, lemon lime, cola, and ginger ale just to name a few. I really enjoy it when I want a soda. It’s made with Stevie and other natural ingredients. I’m hoping it is a decent replacement. After reading this post, I am so excited to try Zevia. Soda is one thing I really miss although the few times I’ve had some since going primal I feel just awful. Maybe this is a way to reincorporate this treat! I LOVE Zevia as a special treat. And I discovered recently that if you mix the orange or root beer with heavy cream you have yourself an amazing desert! Stevia has a huge aftertaste to me..makes me super thirsty. read that the processing of the stevia is what is harmful(w/chemicals) but Truvia it said processes w/water..any way would like your take & anyone elses info on a product called WHEY LOW??? I have had disastrous stomach cramps and constipation with numerous stevia products, but particularly Truvia….I’m talking devastating pain! I’ve tried over and over with different brands, but keep getting the same result. This is fairly well-documented on the internet, but weirdly, it’s mostly women that seem to be affected. Such a shame. It seems like a great alternative with some decent health benefits. But for me, the pain is absolutely not worth it. I also got crazy bloated from trying powder stevia recently. I thought it was something I ate, but once I went down the list and googled side effects (of which there are MANY forums for)…stevia was it. I’m going to try again just to make sure. a sweet herb. Quality stevia makes all the difference in the world. I use Emperor’s Herbologist JAJA Stevioside. It taste clean and has no fillers. Check out the website it is very informative and may help in your quest to discover better health and wellness good luck..
Inulin is a fiber that gets broken down by microbiota, right? I’d be a little bit worried about the condition of my gut if inulin was causing bloating or other serious problems. At this point I’m not convinced all starch or carbs are bad (although I did lean that way a few months ago, branching out in my experimentation and liking what I’m seeing/learning) and that long term VLC may not be optimal as it may impact the diversity of your microbiome. I’ve read some studies about possible reproductive damage caused by large doses of stevia, though this has always been in processed form. We use stevia, if anything, but I grow the actual plant and powder it in the Vitamix. This way, I know there are no added ingredients. I agree with the previous commenter though… it is horrible in baking! I use Sweet Leaf in my coffee almost exclusively. I have tried both the Truvia and Pruvia brands as well. They take a little getting used too, but not too bad. I like NuNaturals Vanilla stevia a lot and hate NOW brand – so you really do have to try a few. I use the NOW in my smoothies just to get rid of it. 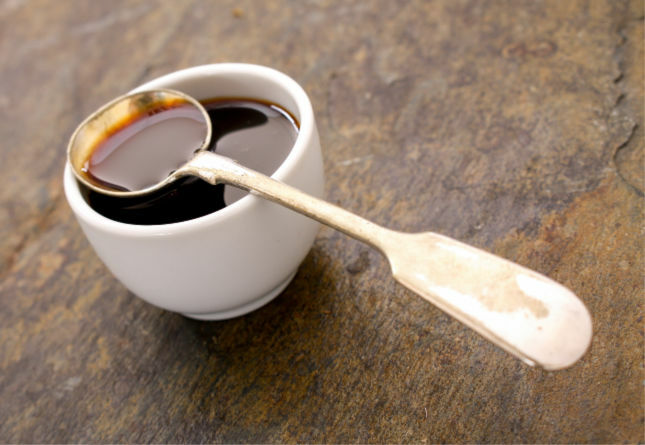 What I’D really like to hear about is…yacon syrup! So much interesting research and very delicious. People on the candida diet can eat it. Obviously it’s all subjective, but I LOATHE the NuNaturals vanilla! It’s about 30% ABV and the smell is very chemically. The best – in my opinion – is Stevita (all flavours). Fantastic article on stevia. Love it! For all of you Primals…if you go to http://www.steviva.com/ and use the coupon code STEVIVA10 you will get 10% off stevia sweeteners plus free shipping. I grew it in a pot on my deck last summer and when I made iced tea, I snipped off a branch of the stevia along with fresh mint to steep with the tea leaves. It added a sweetness, but nothing like the sweetness you achieve when you sprinkle the powdered form. I liked chewing on the leaves too, for a sweet treat. I had the feeling then that the leaves were the best way to go. It’s great to use in cooking like a bay leaf too! Steeping it in a pan of thai eggplant instead of sugar is incredible. It’s interesting how my pallet has changed. I used to gag when I would try Stevia. Now I grow it and use it every day. My 4,3,& 2 year old eat the leaves as if they are treats. They love it. I use stevia to bake and sweeten their foods. I can also say that after using stevia as my natural sweetener I have cured my PCOS. It definitely works for me. I also enjoy another amazing sweetener called Lakanto. It’s even better to bake with. Do you think growing it helps the taste, is fresh better? I kind of miss some sweet stuff, but stevia has, so far, completely grossed me out every time I tried it. I so want to like it…. Why bother? I haven’t found it necessary to add sweetener to anything since becoming Primal. I grew a Stevia plant in my garden last year and it thrived until mid summer when it abruptly died (we live in Northern Canada). Crush a leaf or two in a glass with a few mint leaves, some lime juice and soda, and it’s the most refreshing summer drink I’ve found yet. We served it at our daughter’s birthday party instead of typical canned soda, and it disappeared quickly. Great stuff! I have tried Stevia, I find the taste waaaay too sweet for me so I stick with honey or maple syrup in tiny amounts. I am more of a salt junky any way, although I noticed that since I stopped eating a high carb diet I don’t crave it as much. Trader Joe’s has an organic Stevia extract powder in a little container. It’s good! Once you get used to the bitterness, you won’t even notice it. I use stevia in cooking/baking and will usually use a little honey along with it to cut the bitterness. I’ve tried many brands of stevia and have found that they differ immensely from brand to brand. I have not had a good tasting stevia that came in liquid form. However, the brand called Sweetleaf is the best tasting powdered among all the different types I’ve tasted. I don’t use sweeteners very much other than plain yogurt and coffee, which is a natural sweetener to use because of the bitterness factor. …and it turns lead into gold! Great stuff. Absolute magic, and makes flying monkeys from nothing but a little corn starch and sesame oil. Does anyone know the manufacturing process of Stevia? How do they get a nice green plant into a powdery white substance? Do they bleach it or perform any other sort of unnatural act on it to get it that way? Sugar beets are a whole different thing than the regular beets! Also, my concern with many stevia products is they contain other things like dextrose or erythitol to make it a powder and less concentrated. Thanks Sunny, I was thinking there wasn’t a difference in beets since they pretty much look the same on the outside (we have many sugar beets in our state, you’d think I’d have known). Maybe I’ll try a couple of stevia plants so I can avoid the dextrose or other additives, or just stick to the all natural honey! Sara – back in 2009 the sugar industry GM’d sugar beets…..across the board OR at least they say 95% are GM manipulated. Sad, huh? Kind of interesting that two main sources for “sugar” – the beets and corn are genetically modified. My personal opinion is that we have no idea what has been loosed upon our world !! Thanks, Mark for another informative article. If you’re covering alternative sweeteners, I’d love to know your thoughts on coconut sugar. I just saw it in Whole Foods for the first time and understand that it has a low GI score? I’ve tried this stuff and I just can’t get used to it. Really has an odd aftertaste. I also do not like the aftertaste of it. I can sometimes drink a lemonade with a little drop of stevia, but I would rather have a smidge of raw honey in tea as well. I don’t like things very sweet, so I can deal with the carbs in 1/4 tsp of honey. I did use stevia to get my boys off diluted juice. My older son would go all day without drinking any water until I started adding a small amount of juice to it. But fructose really bloats him up, so I needed something that would not bloat him, and stevia worked for that. I have just gotten the boys just back on plain water though. That is the best thing for them. I’ve used Stevia (truvia) to make fresh lemonade and I think it tastes good enough to get that sweet taste for a drink. I have sinced drop the daily use of it, but for a weekend drink I might make some lemonade. I have a Stevia patch growing in my herb garden and I use it as an herb in cooking and teas. I tend not to use extracts since often the benefit of a medicinal herb comes from the interplay of many different parts of the plant, extracting a specific portion of the plant can lead to an imbalance. Did you not comprehend the article? It doesn’t that’s the whole point! It causes no insulin spike therefore your body doesn’t recognise it. If it did, I’d be about 22 stone again by now! We comprehend the article differently. I understand that the extracts appear to cause no insulin spike, therefore my body does not react to it in the same way it reacts to sugar. I’m still not certain in what other ways my body might react to the isolated ingredient as opposed to the whole plant. It doesn’t matter, I pretty much dislike sugar in most of it’s forms anyway. Eliminating sweets has had the result of making a much wider portion of the food spectrum tasting sweeter to me. Cheers! And congrats on leaving 22 stone behind! You a Brit/Aussie/Kiwi/Canuck, mate? Yanks don’t know what stones are! 22 Stone = ~= 305 North American lb’s. I do metric by preference. Southern Oregonian by birth, but ten years living in Norway and traveling Europe has twisted my Yank a bit. The little plot of land I live on now is right at the intersection of four ecological zones, so we can grow a lot of diverse crops. Most of my food comes right out of the ground and is harvested minutes before it hits the table. Got buffalo here too. They still won’t let me hunt it with a spear though. Stevia is a beautiful little plant that can take over if it finds a comfy spot. I do drink coffee, and tea, but I don’t dilute the coffee flavor or the tea flavor with other herbs as a general rule. I just find a flavor of coffee I like that tastes good black, so there is no need of sweetener. Cold water extract instead of hot brewing makes a coffee that usually needs no masking herbal flavor. I find Stevia a nice leafy addition to some salads and occasionally in a cold tea. It tastes best as a fresh leaf in my opinion, and uncooked. I don’t believe I would find a use for the extracted sweetener. I have PCOS, so am predisposed to be insulin insensitive. The problem is, I live in the UK, so have to import my stevia from the US because our moronic government – or rather the EU (it’s a Brussels thing) refuses to license it for commercial use or sale in liquid, tablet or granulated form. They’re all banned from baby products (though sugar is not) but they are NOT banned from squashes, cordials and other soft drinks (the ‘sugar free’ versions are usually sweetened with E951 and/or E950 or, occasionally E955 and/or E950. In fact, by purchasing it from iHerb, and importing it into the UK (even though it’s for my own personal use, not for resale) I am breaking the law, as it is ILLEGAL (or was back in 2009) so I’m leaving myself open to prosecution and a fine of up to £5,000. Yet we know that E951 and E954 are potentially carcinogenic! I LOVE flavoured Stevita because I believe it has the truest flavour (don’t like SweetLeaf, NOW, or NuNaturals – the latter just tastes too artificial and is very high in alcohol. NOW is just too thick and syrupy). Thing is Stevita seem to be discontinuing all their liquid stevia and just continuing with the powdered form (or iHerb just isn’t carrying them anymore – and I don’t know where else to buy them). Had an email the other day that they were no longer carrying orange or strawberry. Wish someone would do a raspberry (Sweetleaf berry is the nearest – and it’s gross! So’s the chocolate raspberry). I use a powder that states to have 100% pure certified organic steviol glycosides. I have a small amount in my organic plunger coffee each morning, in the occasional organic raw cocoa, and a small amount in my whey protein isolate shake about twice a week. I never use it in baking or cooking. I also use the dried leaves if I drink a herbal tea. I just add a few dried stevia leaves to the herbal tea and let them brew. I use Stevia in my tea daily. Hot and cold. I found that adding lemon to cold tea with Stevia eliminates the bitterness. I don’t like coffee, but my sister says she can’t get used to it in coffee, even though she does like it in iced tea. Apparently everyone has different tastes for what tastes the best, because favorites mentioned by others are NOT my favorites. I have not found a single powdered one that I do like. I keep the Now brand in my purse because it doesn’t go bad as fast. Other brands tend to get more bitter as I get to the bottom of the bottle. I have read articles claiming it is good for cavity prevention. Since began using it a year and a half ago, no one in the family has gotten anymore cavities. However, we stopped eating grain at the same time that we started using Stevia, so it could be either – or maybe both? Lastly, I had a major candida overgrown to the point of total system shutdown which prompted my change to a primal lifestyle. Even fruit was off the menu for a while. Stevia was the only way to get a sweet fix. A “sweet” tea satisfied me – it didn’t increase my need for sweet. Actually, it was quite the opposite. This article helped make sense of why that might be. I would love to grow some, but I hear it’s hard to start from a seed. Can anyone share their experience? I haven’t found any started plants in my area. By the way, I think I read that Truvia is owned by Coke. That makes me wary. Nicole, not that it really matters, but the table top version of Truvia is not owned by Coke, but by Cargill (an agro-giant company). It was however developed through a JV of the two companies. Coke has the beverage rights. I used to use sugar or artificial sweetener in my tea, I now use sweet leaf clear liquid stevia, and I love it! I tried a couple other brands, and ended up giving them away. I have my green tea with stevia every morning, and I was holding my breath while reading this hoping it wasn’t something bad! I have got to get your book. It all looks so interesting. BEST STEVIA BRAND- I have tried them all! By far the best, non-bitter and low carb stevia is NuNaturals NuStevia NoCarb blend- you can get this powder in bulk in packets and bottles on Amazon.com or at iHerb.com. BEST WAY TO USE STEVIA IN BAKING – when the recipe calls for a cup of sugar, use 1/2 tsp. NuStevia NoCarb and 1/2 -3/4 cup granulated erythritol. Works great with nut flour recipes to keep them very low carb! BEST USE OF STEVIA – ZEVIA all-natural soft drinks- These are fabulous and really help if you have a sweet tooth! I’ve been growing my own for about 2 years in a container garden. I ordered the plant from some random seed catalog after learning about it in Nutrition. It’s great to use in place of sugar in Mint Juleps, just grind it out with the mint in the mortar and pestle. Not Primal I know, but maybe not as bad as table sugar? Thank you so much for this post; I was just wondering about stevia today when I added 2 drops of extract to my coffee! Your website has been a terrific resource for this newbie/stumbler! I started to add stevia to my smoothies a few months back to make them sweeter. Its amazing how just a drop or 2 makes a HUGE difference! The stuff is damn powerful and real cheap too. I have yet to use it in anything but my smoothies but will have to try it in other things soon when I want just a little more sweetness. It sounds like it would be great in hot tea! I have grown the stuff in my garden as an experiment one year. I was working on making a tea (boil stevia in water) and freezing in small portions to use later (tried ice cubes – too large). I didn’t get my process perfected, as I used it all up beforehand. But it worked well overall and was so easy to grow I thought it must be a weed. Heck, it might even be growing there still as that part of garden went wild later! KEEP ALL YOUR GOODNESS COMING OUR WAY!!! I am a stevia grower. It is easy to grow and most people that come to our garden center have never heard of it. I let everyone taste a leaf though and they are amazed at its sweetness. I use it in my iced tea too. I love powdered stevia. In fact, I know that I abuse the stuff. So much so that I would like to know how many calories it has. I realize it is very, very low in calories, but still, nothing can actually be zero calories, no? Thanks MDA readers and Mark! I really want to hear about this. Ditto with other spices/seasonings if applicable. PSA: One of my favorite salad dressings is mustard+stevia+garlic+pepper. Delish. If something fails to register a value on the calorimeter, then it can be said to have a zero calorie value. Technically (well to me at least) herbs and spices are condiments (i.e. not foods, but food enhancers) so the other reason, I suppose, they can be ignored is that we simply don’t consume them in vast enough quantities. I buy spices in 1lb bags and they last AGES (though I get through more cinnamon than anything, as I’m slightly insulin insensitive). So happy to finally have the Mark stamp of approval. Hooray! I love sweet and have been finding ways to like Stevia. I used to use lots of Splenda but have cut that way down. Sugar alcohols give me major stomach cramps and GI distress. Stevia pairs well with certain things but not so well with others (in my opinion). For instance, it works very well with pumpkin, chocolate, and citrus. It doesn’t work well with coffee – too bitter for me. Maybe someone has a recommendation. I can sometimes tolerate it as a tiny whiff in the coffee without grossing out from bitterness. The one thing I haven’t gotten perfect is subbing it into baked goods. Any tips from peeps? Tried to like Stevia. Can’t tolerate the bitterness or the aftertaste. Stevia sounds like a more sensible choice than splenda or aspartame, but to me it makes more sense to do without. If I want something sweet, I have no problem using plain old sugar for occasional indulgences. NuNaturals is a good brand to try, I have the pure white powder form and the liquid one as well. Seems that I’m the only one who can’t stand NuNaturals! I guess that makes ME the weirdo, then, right…? but nunaturals is now 20% off at fine retailers. click now and save. if you have any questions, please ask me. i’ve been making, em, buying it for years. i’ve tried them all, and nunaturals is certainly the best product i make, i mean tried. I find it more than absurd to consider artificial sweetener´s on a primal site. google Coconut blossem sugar or gula java blocks! there is an online seller called noble house. I have no affiliation whatsoever, just passing on info to avoid anything artificial. I think that’s a lie and that you’re spamming. How is stevia in any way artificial when it’s produced – directly – from the leaf of a PLANT…?! sorry, i never bothered to read about stevia and did not know it was from a plant. my fault. I assure you I am not a spammer, so begone yourself. in addition, what I wrote about Gula Java Blocks, is not a lie. If I want to eat something sweet, I eat blueberries or strawberries. There is no need for sweeteners. I concur, but most berries don´t taste so good in a cup of coffee. I only use Gula Java Blocks in my coffee. Otherwise, I am sugar free. If I would not like black coffee, I’d not drink it. Thank you once again Mark for providing another very informative article with plenty of studies (which are always the best kind of articles). Unfortunately, stevia is banned within the European Union. I’ll have to look for it the next time I fly to the States. Well I live in France and I found some liquid Stevia in my local health food shop last week so the law in the European Union must have changed. It’s a French make : Guayapi. I bought some… but I haven’t tried it yet! 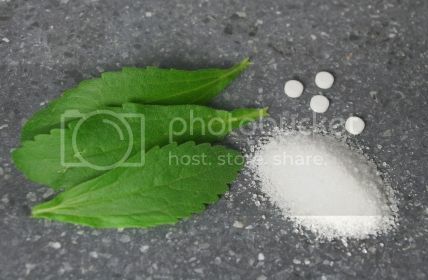 The European Food Safety Authority (EFSA) was due to publish a report in March last year announcing their approval for stevia for use as a mainstream food sweetener but, to the best of my knowledge, no such report has been published and the status of the herb is, to date, unclear. A recommended daily intake (RDI) has been established, of 4mg per kg of bodyweight (though I don’t know why this is necessary as, AFAIK, there is no known danger of stevia poisoning). Just to clear something up: – it is only illegal to be sold as a SWEETENER; it is perfectly LEGAL to be sold as a herbal remedy, a natural medication or for cosmetic use and some EU members are circumventing the current ruling by labelling it as such (I know it’s sold under such labels in Germany, for example). As well a decades of use in Japan, the Stevia plant has been used for at least hundreds, and probably thousands of years by various tribes of Paraguyan natives (notably the Guarani). The extraction process is quite mild if the mixed glucosides are wanted–just a simple water extraction of powdered leaf. Ethanol extration is used to separate the various forms of glycoside. Of course, thousands of years doesn’t make it part of our evolutionary heritage. But that goes for any plant fro mthe New World. Myself, I like it and use it without hesitation. How does this comment add anything of note to the discussion…? Is there something you don’t understand, something we can clarify for you…? It’s processed (unless you’re just using the leaf itself), so I don’t use it. My goal is to keep sweets rare, and on the rare occasion I have them, I’ll use honey or maple or sucanat, all whole, real foods. If I had stevia leaf (fresh or dried), I’d use it. If it were just leaf, it would be more comparable to cinnamon or turmeric. But a white powder or clear liquid aren’t something that meets my qualifications for regular consumption (could be made in my kitchen with normal, simple kitchen tools). I love stevia, particularly Sweetleaf. Both sugar and artificial sweeteners mess me up bigtime, so I love having the option of stevia for sweetening things. Plus, I think it settles an upset stomach, at least for me. Cateydid, I have noticed the same thing – tea with a little Stevia always settles an upset stomach for me. i am “addicted” to it. probably just in my head. but i can barely tolerate real sugar anymore, or splenda products. Hope most products replace splenda w/ stevia some day. if i could drink the powder i would. sorry, but i have a total sweettooth, and if i can have stevia sprinkled on everything and anything, i will. wonder if i over do it. well i overdo everything, so it wouldnt surprise me. I am not a fan of Stevia. I have tried baking with it before and just doesn’t work out. And I don’t really like the idea of it anyways. I know it is “all-natural” and whatever, but then again so is corn syrup, and certain “natural” flavors and colorings. Personally, I don’t add sugar to very many things, maybe a little honey in my yogurt, but most of the sugar I eat is in junk food. I am not a huge fan of replacing indulgences. I would much rather have one cookie or a small scoop of ice cream as opposed to some Steviated alternative. But that’s just me. And Dan Quinn is completely insane. Real talk homey. Cold fission. I grew Stevia one year (just for grins) and I really liked it in coffee or tea. It’s amazing how sweet the leaves are. Unfortunately I didn’t try to dry any for winter uses and it didn’t survive for the following growing season. I’m a big fan of stevia glycerite. I buy the “Now” brand in an 8 oz bottle. It’s a honey-like consistency WITHOUT a bitter aftertaste. Just be careful, I became allergic in a big hurry, and had major gastro-intestinal problems! Lost 12 pounds, had bad problems for 47 days, until we figured out what it was, within 48 hours of stopping it, the symptoms dissapeared…..for sure don’t over use this! I have tried Stevia–i think Sweetleaf–and dislike it. Not sure I could ever get to like it, and prefer honey, sugar, agave or maple syrup to the artificial or alternative sweeteners. If you really like maple products, check out Aqua-Mapelle(.com) – drinks made from pure maple “juice”/sap. Great info on Stevia. It is a great option to Splenda and the other sweetners. Actually, I was also wondering whether it’s OK to use tapioca syrup as a sweetener, since tapioca is considered a safe starch by some. From what I could find tapioca syrup has zero fructose, and contains glucose and maltose. Any thoughts? Truvia isn’t the best choice (read the ingredients)though it’s more likely to be available at grocery stores. I use the Vitamin Shoppe house brand, which is much cheaper than Truvia or SweetLeaf. Vitamin Shoppe sells on Amazon and can save you some driving if you don’t usually shop their stores locally. The NuNaturals Vanilla that I was referring to is the alcohol free variety that they also offer. May I suggest a brand of pure stevia called KAL? I’ve just recently came across this brand and it’s outstanding. For one, it is almost 100% pure stevia powder without any fillers, but it also tastes great and not at all bitter. I’ve been using stevia for over 2 years now and I think it does take a little while to get used to the aftertaste (if present), but once you do, you no longer notice the difference. I tried liquid form a few times and for some reason either I keep getting it in deluted form ot just pick wrong brands, but I find it not as sweet. I drink lots of green tea during the day and like to add stevia and lemon juice for flavor, but it takes me 40-60 drops of liquid stuff to sweeten a 32oz mug, vs quarter of a teaspoon of powder, so it’s much easier. Check out Amazon for KAL brand. It has a lot of positive reviews. Stevia is good, but does anyone ever use crystallized maple sugar or maple sugar products? 100+ years ago, that’s all any of us would have used for the most part. There aren’t many products, but one in my area that is delicious and available online is Aqua-Mapelle(.com) – they have a small line of drinks made from pure maple “juice” (sap). I agree with an earlier poster that Stevia, or any other artificial sweetener, works best as a transition from a sweet tooth to a non-sweet tooth. Did everyone have a taste for beer or wine when they first tried it? No, the taste was acquired. And we can all acquire a taste for things not so sweet. This is less likely to happen if you keep your food sweet-tasting. I use stevia all the time as my sugar substitute! The one time I tried Stevia was in a popular fruit-flavored drink of some kind, I can’t remember the name, maybe one of the diet SOBE? I had heard all these wonderful things about it. I got a bad headache from it before I even finished the drink. I get a similar reaction to Nutrasweet. Splenda will also cause headaches if I use it too often or on a day when I’m easily triggered. I am wondering if anyone else has had any effect like this from natural or other sweeteners? It may even have been something else in the drink for all I know, a coloring maybe. I currently use Ideeli xylitol-based sweetener when I feel the need, and I’m okay with maltitol. Sloooowly going Primal…Baby steps. It’s interesting being sugar-free. I’m to the point now that I can detect something sugary with my nose! Everything tastes different! Thanks for the site Mark, and thanks to all the helpful Groks too! A lot of good info here. I don’t really care for stevia or other sugar substitutes. If I want to sweeten something like coffee I use a touch of honey. If it’s a food item then I use dates but sparingly. Excerpt BACKGROUND Stevioside a natural glycoside isolated from the plant Stevia rebaudiana Bertoni has been used as a commercial sweetening agent in Japan and Brazil for 20 years. Excerpt AIMS Stevioside is a natural plant glycoside isolated from the plant Stevia rebaudiana which has been commercialized as a sweetener in Japan for more than 20 years. Leaves of Stevia rebaudiana are a source of several sweet glycosides of steviol. For those that find stevia is too strong, or has a bitter aftertaste. – Get a good brand – NuNaturals is the best I’ve tried, some are terrible. – Mix it with other natural sweeteners to smooth the taste. I use erythritol and inulin, which are mostly fiber, to make up the bulk. Most people won’t be able to tell it isn’t sugar in drinks or baking, but you still have to use it in lesser quantities as it is still much sweeter than sugar. I have been using “STEVIA EXTRACT IN THE RAW’ it ROCKS !!! there is no bad aftertaste like most other stevia products and it is all natural straight from the leaf. I buy it here in Hawaii at the local Safeway store. Here is the web site where you can find more info. I’ve been using stevia since 2003. Love the stuff. I make sure to use stevia that isn’t chemically attached to milk sugars. I haven’t found an easy source of green powder but I hope to soon. Great post, Mark! Thanks! Wow, that is a pretty sweet review on stevia – pun intended. I’ve been using stevia in my own recipes for a while now (although it’s not easy to get in Belgium) and I’ve been having good results with it! Are you able to buy stevia in canada? I just bought some Truvia and have just started experimenting with it. As others have said, I’m trying to reduce my “need for sweet.” I’m doing quite well overall; but I still have a few challenges where I can’t completely get over my sweet tooth. My biggest sugar challenge is coffee. I have reduced my morning coffee sugar from two large teaspoonfuls to two small teaspoonfuls. Not a huge improvement, but some. Truvia in coffee is AWFUL. But in tea in small amounts – sometimes mixed with sugar also – it’s palatable. I haven’t tried baking with it but it sounds like a good idea to try it in yogurt (another one where I still like more honey than I should). Does anyone else think that Truvia or another rebaudioside-only brand has a slight vanilla-like taste or aftertaste? I am drinking tea with stevia leaf sweetener right now. Its delicious. Thank goodness! For years I have tried so hard to avoid sugar. It is a real treat as my decaf has vanilla, cinnamon and stevia. very good stuff to hear! What about metabolic syndrome…. if you’re eating something that tastes sweet you might as well have sugar. Mark, what do you think in light of metabolic syndrome? I have two sugar in the raws and one stevia with each of my two 16oz coffee’s in the morning. I haven’t seen a doctor since i started my new regimen (more or less Paleo with a small amount of dairy and a cheat once in a while – like today at a B-Day party, I had a slice of cake and some hawaiian bread), but I feel much better. It would certainly be nice if there were multiple positives to an already healthy product. I agree with chocolatechip69. KAL brand is the absolute best for coffee/tea/beverages. Been using it for over 5 years; before the FDA approved it as a sweetener. I tried all the other brands mentioned in the comments and really didn’t like them (aftertaste). You need to start small–1/2 of their scoop in a cup to begin and increase to taste. If it has an aftertaste, you added too much. I use 1 scoop in iced tea and 2 in a very large coffee. For those very rare occasions of baking, however, I use NuNaturals powder (it’s cheaper) combined with xylitol or erythritol. Stevia alone just doesn’t produce quality baked goods as it lacks bulk. I was reading a study and it said that there was some evidence that stevia impairs male fertility. If you have any knowledge, please elaborate. I’ve been eating a fair amount of stevia recently and have learned to enjoy the flavor. I think I’m going to give it up though and just use tiny amounts of honey or maple syrup instead. I’ve noticed stevia tends to make me want to binge, whereas natural sweeteners with a sugar content don’t. Literally one bite triggers my brain. It feels like I’m being duped, so I have to eat more and more. For this reason I think stevia’s actually worse for my health and weight than caloric sweeteners. I’ve been using NuNatural’s NuStevia with Erythritol for years. Instead of drinking liters and liters of sugared soft drinks nowadays, I drink liters and liters of Oolong Tea sweetened with Stevia. The funny thing is, while I enjoy the taste of NuStevia sweetened drinks, I haven’t enjoyed the taste of Zevia or Safeway’s Refreshe Natural Soda — both of which are made with Stevia and Erythtritol. I’ve been wondering for decades now why the FDA has yet to approve Stevia as a food additive as it should be Generally Recognized as Safe (GRAS). With Rebaudioside A Extract having been approved as a Food Additive, I’m still waiting for the day when I can drink Diet Mountain Dew, Diet Coca Cola and Diet Dr. Pepper, all naturally sweetened with Stevia (Rebaudioside A). I just tried some Jamba Juice home smoothies mix. Something tasted really wierd, (like artificial sweeterner( then i read the package and saw that it has steviol glycosides in it. I’m throwing the other unused 4 packages away. i would never get use to that taste or need to or want to. any opinions? I don’t recommend stevia. stevia lowers my stable blood sugar below normal levels because of the raised insulin levels and makes me tired and sluggish. Erythriol is the only sweetener that I recommend, because it doesn’t effect neither blood sugar nor insulin levels. When I visited Wal-Mart, I noticed they carry Stevia The Raw. It is blended with Dextros which is derived from corn. This caused my bladder to be overactive all night long; no fun at all. I went out today to Whole Foods to get the regular Sweetleaf Stevia. Also, I have learned to just put the sweetner in my drink and allow it to dissolve on it’s own – it will gradually settle to the bottom in a moment or 2. Then as you stir and drink it – it’s much sweeter – I love it and the bitter taste I experienced when I first tried it was widely because, I didn’t give it time to dissolve on it’s own first. I don’t notice an after taste anymore. Finally, I use Sweetleaf Stevia whenever I need to do the low-carb diet, it is absolutely a life saver. I love stevia. I use a couple small packets a day in coffee or to sweeten water with lemon squeezed in it ( tastes convincingly like lemonade!). I haven’t experienced any side effects from it. The only brand I like is by Nunaturals. It’s sold at wholefoods, GNC & the like. I’m new to the primal lifestyle ( 1 week in) & I feel fantastic. I honestly dont crave any sweets or other carbs to my great suprise. I’m glad to know I can still have stevia! It’s just a little sweetness without any guilt. or youtube the documentary: Sweet Misery and you will get more than your fair share of info on the stuff. I use powdered stevia, but just enough to give a slightly sweet taste. Apparently you can also use stevia on your skin, to help with exema problems. Didn’t read that here, so I thought I’d pass it on! I use a product (can’t think of the name) that is simply the leaf, ground up. It’s the best for me so far but I don’t use it very much. It tastes like a ground up leaf, just sweet. 🙂 I recently tried it in my Pemmican and it really helped make it taste better. I used only a little and got no leaf taste. I do think in the future, I will grow and grind my own Stevia as I don’t “really” know how mine was grown although it claims to have been done organically and without chemicals. On thing though, when I first tried Stevia, I tried the liquid kind. I immediately got light headed and nearly passed out. A friend of mine (who is no doctor of course), thought my body was expecting glucose and realized that’s not what it was. Not sure if I think the same but I haven’t had that reaction since the first time. The weird aftertaste kinda got to me. Got used to it after about a week. I don’t think of it as a sugar substitute. I think of it as an herb. Helps justify the aftertaste. I dont care for the aftertaste stevia leaves in coffee and tea,but I love to use it in cooking. I made candied yams and they were very good with Stevia! Rebaudioside,stevioside? Can someone dumb this down for me? I’m new to primal, a T2 diabetic and I want to use Stevia occasionally but I don’t know what specific kind or brand would have the most health benefit. Can someone point me in the right direction? Why not just start to teach our palettes to not need everything sweetened? I’ve been working the last 8 months to completely get off of sugar with the exception of a little very dark chocolate and a little local raw honey. I’ve given up a number of favorite savory recipes because they had some sugar in them (and needed it for recipe balance.) I’m really happy to see that my palate detects a lot of sweet flavors in foods that it didn’t before. All that said I miss my cole slaw and stir fry but have always avoided artificial sweeteners. I put stevia in the same camp (natural, yeah, heard that before) but after this article (the idea of improved insulin sensitivity) I decided to give it a go. I talked to a worker at the market about the best for taste and additives and she recommended “Better Stevia”. I made some cole slaw the other day and couldn’t tell the difference from the sugared version! I don’t know if this would extend to making actual sweet desserts with it but all I really wanted was my sweet-n-sour savory dishes back. I’m a happy primal woman. Stevia caused irregular heart beats in my case…Its a vasodilator, and in some people not beneficial. I thought I had a heart problem…Went through a Stress test, nuclear test, and and angiogram, only to find out later it was the STEVIA.!!! I use NuNaturals liquid stevia in my green tea (I carry a bottle in my purse). I read recently that because stevia increases insulin production, that it is a good idea to always consume it with food. That way the body actually has nutrients to process with that insulin. So I don’t sweeten my in-between meals tea, but I do the tea I drink with meals. I also occassionally drink the stevia-sweetened diet soda, Zevia, with a meal. Stevia is really easy to grow and I use it in lots of things for sweetness. I can also dry the leaves and grind them or make a syrup out of the leaves. The plants come back year after year. i’d much rather eat my stevia this way then have it ultra processed, which is not exactly part of a healthy diet. I injested twice stevia contained products. First time it was rice crispy added steviai nstead of regular sugar. I had horible reaction to it. I had my heart beating so hard that almost fainted. Since I do not have any allergy to any food, i did not made conncetion right away. second time I drank Tropo-50 (It is tropicana orange juice that has stevia instead of sugar). I had horrible reaction. My heart start beating out of control, my tongue got numb. my whole body was shaky and i am happy i survived. After this I am checking every product for little hint of stevia and became very scared to injest it in any form. I do not have any other known allergy or reaction to anything and I am very healthy individual in general. I will appreciate comments. Stevia, or possibly the solvents used to extract it, cause combinations of mental fog, lethargy and dizziness in some users. The plain leaf is likely safer but not to everyone’s taste. I stick to small amounts of raw, tropical forest honey. I use stevia all the time. In primal recipes I replace honey, maple syrup, and agave with it as much as possible (I often use some honey but replace most of it with stevia). I make lemonade and limeade with it, and it goes in my coffee. I don’t know if I’m just used to it, but unless I accidentally add too much, I don’t get a bitter or unpleasant aftertaste. I use KAL’s pure stevia extract in powdered form. And at over 2,300 servings per container, I think it’s actually a pretty damn cost-effective sweetener. I have had the same container for probably a year and a half or more, and there’s still plenty to go, I’m sure it will last me another year or two easily. i have been using stevia for decades. i grow the plant and make my own sweetener and i purchase the pure stevia as well in a crystalline state. i read the book “sugar blues” back in the mid-70’s when it came out and was convinced sugar was “the enemy” among other things. if one has a sweet tooth-stevia especially in it’s real full-nutrition state is the way to go. i even eat it straight off the plant-the new growth is so tasty! MY WIFE AND i ARE USING PURE STEVIA EXTRACT IN POWDERED FORM. GOT IT FROM AMAZON AND IT IS MARKETED UNDER THE NAME KAL PURE STEVIA. IT WAS $23.00 FOR A 3.5 OZ CONTAINER WIT A WHOPPING 2,381 SERVINGS. COMES WITH A LITTLE SCOOP FOR PRECISE MEASUREMENTS (YOU’RE GOING TO NEED IT AS THIS STUFF IS POTENT). If you’re having stomach cramps and diarrhea after ingesting stevia it’s likely because it contains erythritol as an extender. I too am radically intolerant of erythritol and spent a summer with worsening lower GI symptoms which finally necessitated a total GI work up. While I was waiting for the results I thought hard about what I might be doing differently in my diet that’s been paleo for 30 plus years and suddenly thought, “Zevia” soda! Looked at the label and there was erythritol. I react this way to other sugar alcohols but since the sodas are promo’d as stevia sweetened I never thought to read the label. I know better. The GI tests came up negative. Two days after stopping drinking Zevia my gut settled down and quickly normalized. I have the same reaction to using stevia powder extended with erythritol. Though the FDA deems erythritol as the sugar alcohol that doesn’t cause GI disturbance, for plenty of people it certainly does. Google it to see. I use Wholesome brand organic stevia which is extended with inulin. Couldn’t drink my tea without it; now to find out it actually has beneficial effects is a happy surprise…. I’ve been having a hard time attempting ketosis for years. I have been on Paleo for a few months now and switched to Stevia. Finally- amazing ketosis with great weight loss results, and – interestingly enough- I am finally sweating and can SMELL the ketosis. I have also found that having a non Paleo dinner with my family once a week doesn’t affect my ketosis so long as I continue a strenuous exercise schedule and use stevia. I wish I had known this years ago. I have used stevia exclusively to sweeten my drinks for around 10 years now, and I love it! But I only like one brand – NuStevia by a company called NuNaturals. It is marketed by Vitamin World, and it’s the best because it has no aftertaste. They use maltodextrin to keep it free-flowing (I guess) and natural flavors to get rid of the bitterness. It works very well for any and all uses. I bought a Stevia plant a couple months ago and it’s growing well. I put either fresh leaves, or leaves I’ve picked and let dry, (actually-I use the stems too-I tasted them and they are sweet) into a tea ball and steep with tea. Not as sweet as a packet of stevia, but I know I’m not getting additives this way. I also mince and toss small amounts into spaghetti sauce or soups. I’m still experimenting. Not sure if the plant will be deciduous, but if it starts dying, I’ll dry what’s left. The dried leaves seem to keep their sweetness. This is a fantastic post! I literally learned everything I wanted to know about Stevia from this article alone. Your research is impeccable – and your writing is fairly easy to follow. I know I sound like a bot, but I really want to thank you for this fantastic information. It’s SO RARE to find a health site that isn’t shilling products or spouting off generic information that anybody could learn just by visiting Wikipedia. You present it in a fair and balanced way. MUAH! I use only Sweetleaf, no additives. And like some others, I only use it on Greek yogurt, which I make. Other than that one application, I don’t use it for anything else because of the aftertaste. That is the only sweet thing in my diet. I’ve never cared for sweets to start with so not eating sweet food is easy for me. Thanks for the awesome info. In this journey for complete health my wife struggles a bit with unsweetened beverages. I’m completely sufficient with water but she needs “taste”. I told her to use Stevia as a sweetener and realized I didn’t know much about it. I have had issues feeling dizzy when drinking products with stevia in it. I am wondering if raw stevia would have the same effect or if it may be the processed stevia that my body cannot handle. I do have issues with a low blood pressure and reactive hypoglycemia. Maybe the stevia aggravates these 2 issues. Any thoughts? I use KAL brand powder from the healthfood store. I love Trader Joe’s in general but their store brand is not sweet enough for me (different glycoside content?). I use it for blender drinks–usually an AM routine for me–but pretty much that’s it. No need for me to be eating baked goods anyhow! We’ve stopped recommending Stevia at our clinic. Numerous people were reporting moderate to severe diarrhea after consuming Stevia and therefore we have come to the conclusion it is unfit for consumption. Good old PURE CANE sugar or coconut sugar is still the most natural way to enjoy something sweet without adverse affects on the body. Agave is a sweetener we are now testing and seems to not cause diarrhea in people the Stevia did. Ditch the agave! It’s mostly fructose, and a processed nightmare. I really liked coconut sugar, but recent information I’ve read is that it is also high in fructose-Not as high as the agave though. I have fructose malabsorption, so I really pay attention to that kind of information. My concern is that stevia will turn out to be just as bad for us as the aspartame and Splenda have been revealed to be. My daily lunch smoothie consists of some almond milk, one pint of strawberries or whatever fruit is in season and local, some mint leaves, some high quality protein powder and an envelope of stevia. When strawberries are in season, I may also have the pint in a bowl with some stevia sprinkled over them. Most strawberries look terrific but have little taste so the stevia brings out that taste they do have. Insulin is NOT millions upon millions of years old. That’s the evolutionary\old Earth myth speaking. I realize people have their own beliefs, but when people write articles stating their beliefs as fact I’m going to call them out on it. I’ve debated the topic with many over time and no one gets away without either admitting it’s a belief (not FACT) or they resort to the ad homs. You are welcome to flame. While I like a lot of the qualities of Stevia, I hate the taste and the fact that it is hard to use (not 1:1 with sugar). I found another all natural sweetener that is even better called shugra. shugra taste and measures just like sugar without the horrible aftertaste. Sweetleaf is my favorite brand, I use the powder version only, sold in packets. Sweetleaf is the ONLY brand I’ll use. It has no additives except for inulin fiber, (a prebiotic), which I’m totally fine with. Here’s some advice when using stevia, it’s just my opinion, but keep in mind, I feel very strongly about it. I don’t find it goes well in desserts, puddings etc. It does go amazingly well in smoothies and fruity drinks like lemonades. Anything fruit-based, Sweetleaf will enhance it so wonderfully. But if you put it in Latte or a pudding, I will notice a very slight funny aftertaste which unfortunately I cannot tolerate. But I do find it worth it to buy, I always use it in my smoothies and lemonades, it really does perfect it. A little goes a long way. Hi Mark! This is my first post! I used stevia last night to create a “paleo” or (Grok) Hersey Bar 😉 Not too bad. After a couple of pieces i was done with my sugar craving! After liquifying the coconut oil, add the coco powder and stevia, then place in the freer for about an hour. I have been using and enjoying stevia for decades. In the 1980’s, for example, long before stevia’s current popularity, when stevia was not allowed into the US as a sweetener, I used to purchase an all-natural Chinese dentifrice, which contained simply brown, liquid, syrupy stevia, and I used to titrate that into my morning tea as a sweetener. So I was way ahead of the curve on stevia, in that sense, and couldn’t be more of an advocate. That is, until this morning. Insulin resistance? But — as the article above suggests — I was of the opinion that stevia aids in glucose tolerance. Say what? In one at http://empoweredsustenance.com/is-stevia-bad-for-you/, the author suggests that, because stevia is sweet and have no calories (a condition not otherwise found in nature), consuming it sends mixed signals to the body, taxes the adrenals and fails to support glycogen synthesis. Then, in an article at http://www.livestrong.com/article/536467-does-stevia-affect-insulin/ another author points to two studies published in “Metabolism” (3/03 and 10/04), both of which conclude that stevia increases the production of insulin in diabetic rats. That same author suggests that a large-scale clinical trial on humans diagnosed with type 1 and 2 diabetes is needed in order to dispute or validate stevia’s positive effect on insulin. I must admit, after all this, I am in a quandary and will be following this issue more closely in the future. Thanks for your article. Is Stevia okay if you tend towards hypoglycemia? Honestly, whenever I evaluate objectively, I don’t see any reason to worry about *any* of the FDA -approved artificial sweeteners. “Goofy health food store dudes who claim aspartame was created by Donald Rumsfeld to give us cancer” are all over the Internet spreading their disinformation. But when I research, it’s easy to see how wacked out and misguided they are. Last January after Christmas I was 155 lb. had read a short article on grain brain and that was the key motivator to kick the carb habit/ addiction. Grand F had Alzheimer’s GM had pancreatic cancer. I hoover around 125 lb now. Had a friend share your book to me in the spring and has helped me increase my exercise In my case. bedsides the weight I’d get really sleepy about an hour or so after an meal. My blood sugar has been pretty stable since changing to primal. I’m still suspicious of stevia dropping my blood sugar too low. I have been coming across articles by various nutritionists indicating that stevia may be a hormone disruptor with estrogen like compounds. A friend has been using it several times a day for coffee/tea (all organic including the stevia- no crap compounds like Truvia) and his estradiol has skyrocketed. Any thoughts? I am also a clinical Nutritionist and would like to know if there is any research supporting this. I have read some comments (elsewhere) and seen a little research that says Stevia kills good bacteria in your gut. This is TERRIBLE news as I have it every day in my coffee and tea and I am currently very focused on improving my gut health. I tried to look through all of the comments to find the answer but I didn’t find it. Please tell me what the truth is? Happy Hump Day! Does anyone have any info on any bad effects on kidneys? Also, when making a gallon of iced tea in the summer, how much Stevia powder do you add? I’ve been fruit out for two months. I found that I wanted more and more, and craved others sweet things more. I’ve also gained weight be him hungry, and my fasting glucose is higher. (Borderline). So, I’m guy it up. Sticking with berries. I just bought a small bottle of that stuff and it tastes worse than aspartame!!! I can’t stand artificial sweeteners but since I’m trying to lose weight and went keto I figured I’ll try this “natural” cheat sugar…. Nothing natural about it…just another artificial chemical sugar made in a lab. One Stevia product I tried had erythritol in it and it tasted bitter. I tried a liquid and that was a little better but not much. I’m having a hard time finding one that tastes sweet and not bitter! UGH! Any suggestions!! Or do I ‘just have to get used’ to it? I love Stevia. Good to know there are other benefits that come with it.